How Much Does a Nice Residential Carpet Cost? That is a really good question. I assume you want a price for installed carpet, which would include carpet, pad, and installation. My short answer is about $20 per sq. yd. but let’s break down the cost and look at your options. There is a very large selection of carpet styles and designs that would qualify as nice carpet. So let’s focus on carpet made from nylon and polyester, which are the two most popular residential carpet fibers. Besides the carpet, you also have pad and installation to make up the total cost of buying carpet for your home. All three have a wide price range and are many times priced together, or maybe buy the carpet and pad and you will get free installation. This is obviously a marketing scheme and the consumer needs to compare the total price. First let’s look at the carpet. Nice carpet for your home will range from a 35 oz polyester at about $8.99 per sq. yd. on the low end to a 55 oz nylon at about $23.99 per sq. yd. on the high end. A 35 oz nylon would cost about $14.99 per sq. yd. on the low end of nice nylon carpet while a 55 oz polyester would cost about $14.99 per sq. yd. on the high end of polyester carpet. As you can see nylon is more expensive than polyester. Both polyester and nylon are available in soft fiber, which will increase the price about 20%. Next we will look at the pad. The best pad for your money is a 7/16″ thick 8lb. rebond pad at $2.99 per sq. yd. There are several pads, such as Shaw’s “St. Jude Hope Cushion,” Mohawk’s “Decorate for the Cure,” and Stainmaster’s rebond pad that cost around $4.95 per sq. yd. As with carpet, there are several pads that are more expensive such as Healthier Choice or solid rubber pad. Last but not least you obviously need quality installation. A basic installation costs about $4.50 per sq. yd. This number can increase with extra charges for removing and carrying off old carpet, which costs about $1.00 per sq. yd. Moving most furniture will cost about $1.50 per sq. yd., and moving heavy furniture such as pianos, pool tables, and entertainment centers have extra charges. There are also extra charges for installing berber carpet and patterned carpet, as well as carpeting steps. Now we need to combine the cost of carpet, pad, and installation to get our total cost. A nice residential polyester carpet should run about $16 to $25 per sq. yd. installed. A nice residential nylon carpet should run about $22 to $31 per sq. yd. installed. 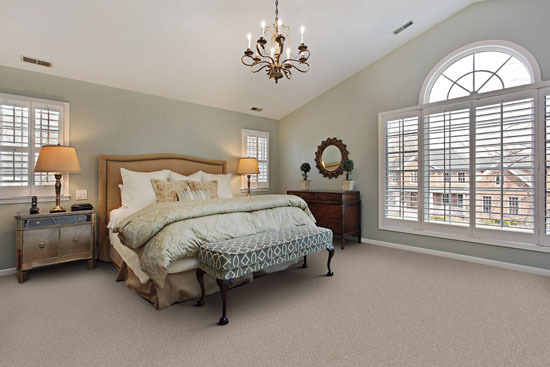 The nylon carpet will be more durable, but the polyester offers the best apparent value. Remember the denser and lower the pile, the longer your carpet should last. However, no matter how nice your carpet, it will show traffic patterns with time. Important!!! Carpet may be priced by the sq. ft. instead of the sq. yd. There are 9 sq. ft. in 1 sq. yd. so a carpet that costs $18.00 per square yard cost only $2.00 per square foot. Don’t get confused and be sure you’re comparing apples to apples or square feet to square feet or square yards to square yards. There is a huge difference. The first step to prepare your home for a new carpet, is to have a professional come out to your home and measure the area where the carpet will go. It’s a good idea to get an idea of an estimate when you first go in looking for a carpet, so you can get an idea of how much the carpet will cost, but you should have a professional get exact measurements for you before you actually order any carpet. The next step to consider when getting new carpet, is to have an idea of what your budget will be. After you have an exact measurement, be sure to get a quote that has the exact cost of the carpet, carpet padding, and the installation labor. The third step is to make a plan for the installation. You will need to schedule with your installer an exact day or a few days for the actual installation job at your home or business. You will need to make sure you have a plan about where the furniture will go and where the new carpet and pad will go. If you have any other questions or concerns, be sure to discuss those with the installer before the installation day arrives. The next step is to clean and prepare the rooms that will have the new carpet installed in them. You will need to make sure that you either have the installers move the furniture, you remove the furniture from the area, or have a moving company just move the furniture for you. After the furniture is out of the way, just make sure that you don’t have anything else in the room that shouldn’t be in there during the installation. The last step is to decide what you want to do with your old carpet and pad. If you do not want to keep your old carpet and pad, then you will need to check with your installer about removing the old carpet and pad and getting rid of it. If possible, it is always best to have your carpet and pad taken somewhere it can be recycled. Most installers will take the old carpet and pad as part of the installation cost, but some installers might have an additional cost for the removal. You can always check on this detail before you even place an order for the carpet and set a date for the installation. It’s always a great feeling to have new carpet and pad installed in your home, and we have many great carpets to choose from. Make sure you plan everything out before you purchase a carpet and padding for your home. We have some great carpet tile specials going on right now. Carpet tile is usually used in commercial applications, but I have also seen many people use this product in their own homes. Carpet tile allows you to create a unique design for the floor whether it is in a residential or commercial building. 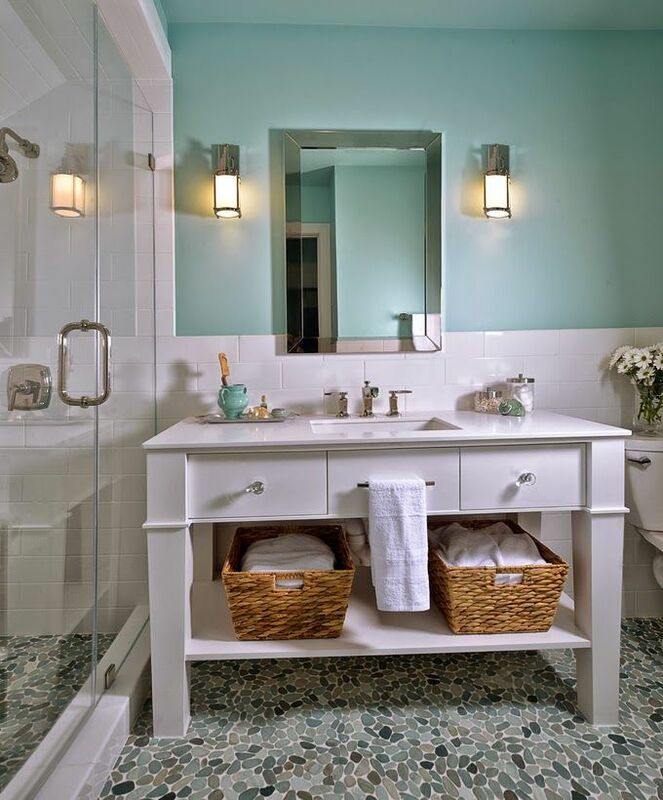 Carpet tile is easy to clean, replace, and move around for a different design. The carpet tile we have is available in many different colors and patterns, so you can definitely find the right flooring for your home or business. Click here to see our selection of carpet tile specials! 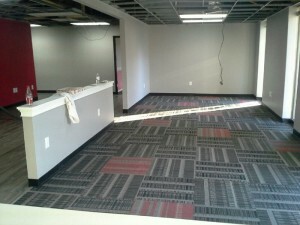 The pictures below are from a commercial flooring installation that was done by Floor Tek. Floor Tek does all of our commercial and residential installations that are in a 200 mile radius around Dalton, GA.
Click here to find out more about our installation services. 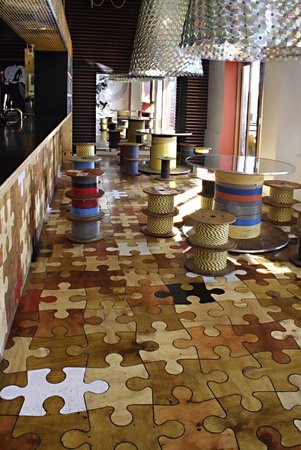 Flooring can now be made in so many different ways, but here is one way that is so unique. Jigsaw puzzle flooring is a growing trend in interior design. Jigsaw puzzles can be made so creatively because each piece is different yet they all fit together to create something beautiful. The same can be said for a floor that is made out of wood or tile that is cut into different puzzle pieces, and then they have to be put together to create the floor. 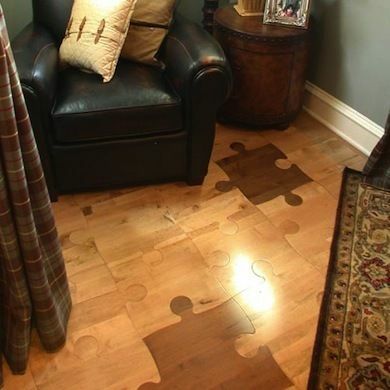 You won’t be able to take the puzzle apart and then put it back together, but you will always have a gorgeous and unique floor in your home. This type of flooring is more of a DIY project than being able to find it in a store. You can buy the hardwood flooring, tile, luxury vinyl tile, or luxury vinyl plank from a store, but then you’ll have to cut the floor into puzzle pieces. Just make sure that you keep track of what piece goes with what so you don’t create a bunch of pieces that won’t fit with each other. I’ve been a lot of these types of floors with many different colors mixed into the design. Some people just used one type of wood for the main part of the floor, and then they used one other color of wood for certain sections. However, I’ve also seen someone use all types of hardwood and colored floor to make the jigsaw puzzle flooring. Just be creative and design your own jigsaw puzzle floor. Always remember to have fun when designing your home. 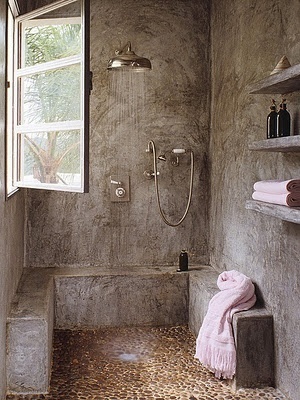 Click here to see our tile flooring. 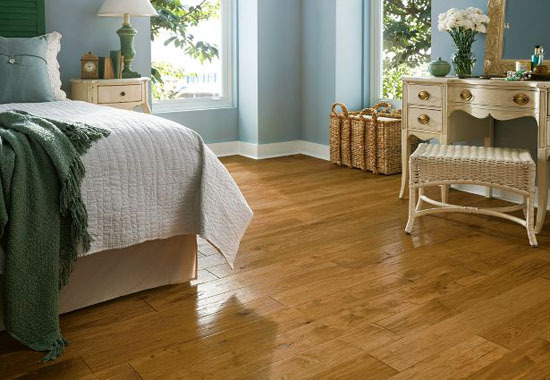 Click here to see our luxury vinyl tile and luxury vinyl plank flooring. 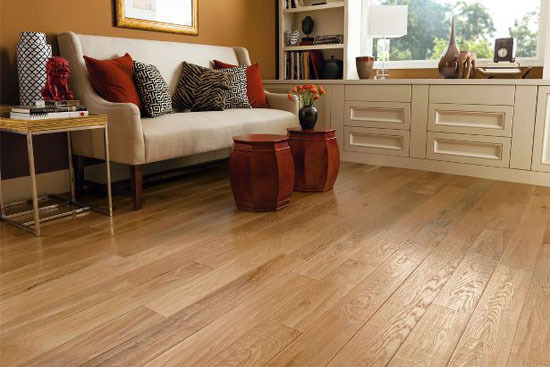 Click here to see our laminate flooring. When trying to pick flooring for a commercial building, customers want a product that will last a long time for a great price. 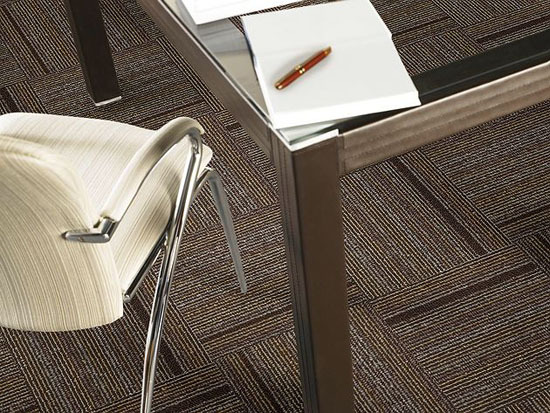 Many people pick broadloom carpet, but over the last decade carpet tile has become a staple in commercial applications. 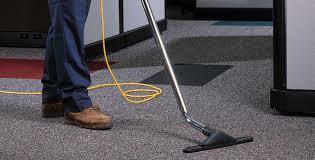 Carpet tiles are a lot easier to clean than broadloom carpet. Broadloom carpet is more expensive to clean because every month or so you have to do a deep clean on the carpet, which isn’t cheap. Carpet tiles are also easy to replace. For example, if you spilled something that stained the carpet, you can just pick up that tile and replace it entirely. However, if you stained broadloom carpet, you would need to replace the entire carpet, which is more troublesome and expensive. Carpet tiles are easier to install than broadloom carpet. In addition, it costs less to install carpet tiles than to install broadloom carpet, and it takes about 20% less time to install than broadloom. 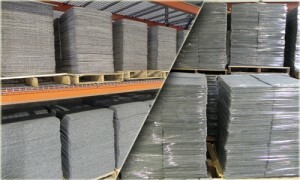 Carpet tiles are packaged in boxes so they are easier to bring into the installation area. Carpet tiles are more convenient for commercial buildings with elevators because carpet tiles come in boxes. Imagine trying to fight with a roll of carpet in an elevator, which would be a horrible experience, and then think about how easy it is to just carry boxes of carpet tiles. 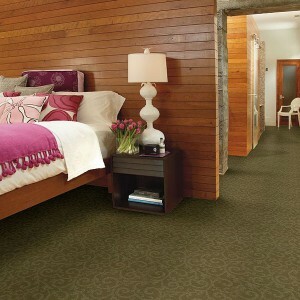 Carpet tile is also easy to install in odd shaped rooms. Carpet tiles are easier to cut into any size and shape you need than a roll of broadloom carpet is. Carpet tiles win hands down in terms of installation. Most people would just think to throw away carpet tiles because they are flooring, but carpet tiles can be recycled into other products such as plastic car parts, medical equipment, and even new carpet. Say for example that in one year, everyone recycled 20,000 sq. ft. of carpet tiles, which prevents about 46,000 pounds of carbon dioxide from entering the air. Keeping that much carbon dioxide out of the air is the same as not burning 48 barrels of oil, not consuming 8,800 liters of gasoline, not driving your car for 1,500 days, and turning off all the electricity in your house for 990 days. Carpet tiles need to be recycled because there is already so much carpet being put into landfills every year. Carpet is estimated to make up 2% of materials in landfills, which means that by the end of 2014 there will be about 6.7 billion pounds of carpet sitting in landfills. If we were to start recycling every single carpet tile, which are recyclable, then we would quit adding on to that harmful buildup in the landfills. Also, many carpet tile manufacturers are creating recycling or reuse programs, which make recycling carpet tile easier and more manageable than before. Some manufacturers have said that they have reclaimed over 100 million pounds of carpet each year. 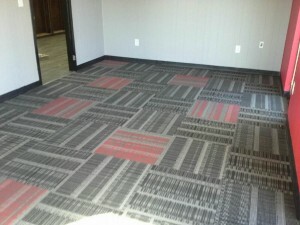 Carpet tile allows you to have more creative freedom when designing a commercial building. Carpet tile is available in many different colors and they can be easily placed wherever you want them. 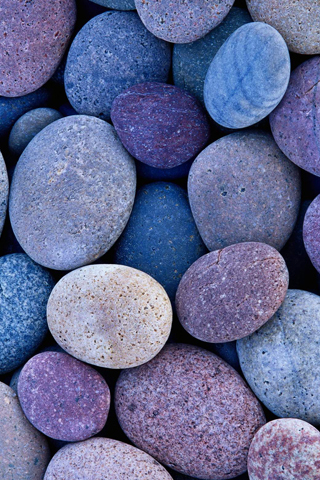 You can just use one color throughout the entire room with the carpet tile, or you could use one color for the main part of the floor and use another color as a border. You could create a checkerboard pattern, stripes, or even some fun optical illusion type flooring. I’ve also seen some use carpet tile to create an ombre effect with the colors. I’ve also seen carpet tiles using just one main color for most of the floor but random colors will be spread throughout the floor. There are so many possibilities with carpet tiles, and the best part is you can try out as many as you want because the floor does not have to be glued down. Carpet tile may cost twice as much as broadloom carpet, but it will also last two times as long as broadloom carpet. Carpet tile is cost effective because you may pay more up front but the carpet tiles will last for 14 to 17 years, while broadloom carpet only lasts for 7-10 years. Also, when you purchase carpet tile, you don’t have to buy any underlayment or padding because the carpet tile has a backing on it that makes it fine on its own. After purchasing the carpet tiles, you can easily save a lot of money on installation, which was already mentioned above. Click here to see our selection of Carpet Tile. Hardwood Finishing – Is It Dry Yet? Hardwood finishing is important for enhancing the wood’s natural beauty and protecting the wood from damage. However, knowing when the hardwood finish is done curing is difficult to guess. Finish drying and curing varies depending on the type of finish, and each type of finish has its own needs and drying points. Curing has four common stages, and being knowledgeable of these stages will help you do a more efficient job with hardwood finish. The set point is the first stage in the curing process. A set point is when the finish will no longer flow and level. The finish will still feel wet at this stage, but it will not flow and level anymore because enough liquid has evaporated out of the finish. Therefore, the finish can no longer be worked or feathered to fix any missed spots or applicator marks. Trying to fix anything during the set point will cause lap lines, haze, or streaking. The second stage is when the finish is dry to the touch. If you can lightly touch the surface without any liquid getting onto your finger, then you are successfully in the second stage. The finish is now dust-free, and air movement can be started across the surface to draw off the liquid carrier. Consistent air movement, which increases the rate of evaporation of liquid carrier, will help get rid of the chemical odors. You can create a good air movement by opening the windows and turning on the air conditioning system. The third stage is called dry hard because the finish is hard enough and dry enough to continue on to the next steps. Next, you can add another coat on the floor and the floor can be walked on lightly. At this point, you should still not put area rugs or any type of covering on the floor. The finish is dry but curing is still occurring within the film so it reaches its most beneficial level of hardness and durability. In addition, at this stage, the finish is only partially durable and chemical resistant, so please do not use harsh cleaning chemicals. Using harsh cleaning chemicals can cause blushing of the finish. The final stage is when the finish is finally cured. Reaching this stage can take days to months depending on the type of finish used and the conditions of the job site. When the finish has developed all of its properties, then it is fully cured and you can put down rugs. In addition, proper hardwood cleaners should be used regularly to maintain the vitality and durability of the flooring. Finish manufacturers and contractors can give you the correct information regarding the time each step will take. Remember that every finish cures in different times for each stage because of the varying needs and conditions. Measuring for carpet is not as simple as just figuring your square footage. Our infographic below will show you why. Keep in mind these same concepts also apply to vinyl installation. If you have any questions about installation don’t hesitate to call 800-922-5582. We install in a 150 mile radius of Dalton, Georgia. However, if you are out of our service area, use our installation page to look up a Certified Floorcovering Installer in your area. How important is installation when purchasing your flooring? No time has been spent and no questions have been asked about installation. All the time and effort spent has now been wasted, because the installation is a disaster. Please take the time to ask questions about the labor. Find out as much as you can about what you are being charged for. Ask for some referals or maybe even a job you can go and look at. If you are hiring the installers yourself, beware of the shade-tree mechanics. Ask if they have the proper insurance or carry worker’s compensation on their hired help. Get two or three quotes from different installers, and then go with the one that you feel the most confidence in. Don’t let a cheaper price be the deciding factor, because usually this is the installer that will cost you the most in the long run. For more information about installation, call (800) 922-5582, or email info@carpetexpress.com. Question: I am in New Jersey and have remodeled a sunporch with concrete floor that has wet kids coming in from the pool in the summer, but is also used year round as a TV/game playing room. The indoor/outdoor carpet has been removed, and we want to re-carpet with something low-pile, but would like a little more cushion. What would be a good pad to put down that can get a little wet (not too wet, just some wet feet and swimsuit bottoms)? Answer: This is a great question because padding can make a big difference in the performance of your carpet. Based on the information that you gave me, it sounds like the only water that will be getting on the carpet or padding is just what the kids bring in from the swimming pool. I would compare this to a situation very similar to walking out of the shower into a bedroom with carpet in it. This is not a lot of water, but is still something to be concerned about. They make pads with a moisture barrier on them, such as Stainmaster pad to name just one of many, so I would check out some of these type pads which would seem to be the most suitable for your situation. If I can be of any more help in finding you some of these type of pads, please just let me know.